Scott Kelley outside his studio in Peaks Island, Maine. 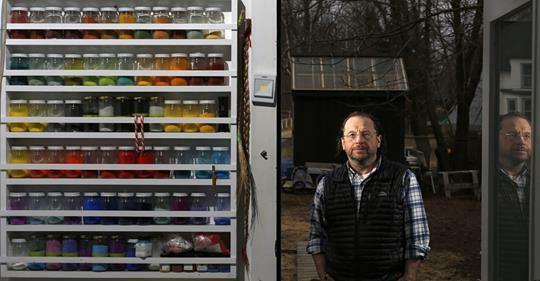 Scott Kelley gets his inspiration in Florida and paints in Maine. 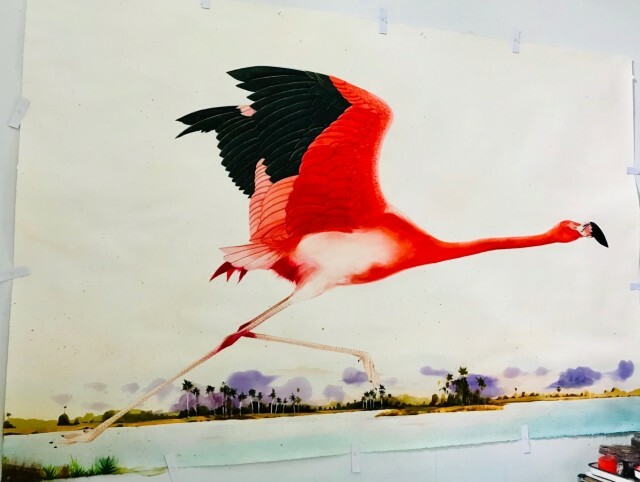 His ability to enjoy the best of both worlds enables him to enjoy the magnificent wildlife of Florida and the comfort of his home and studio in Maine, where he lives with his wife and son. 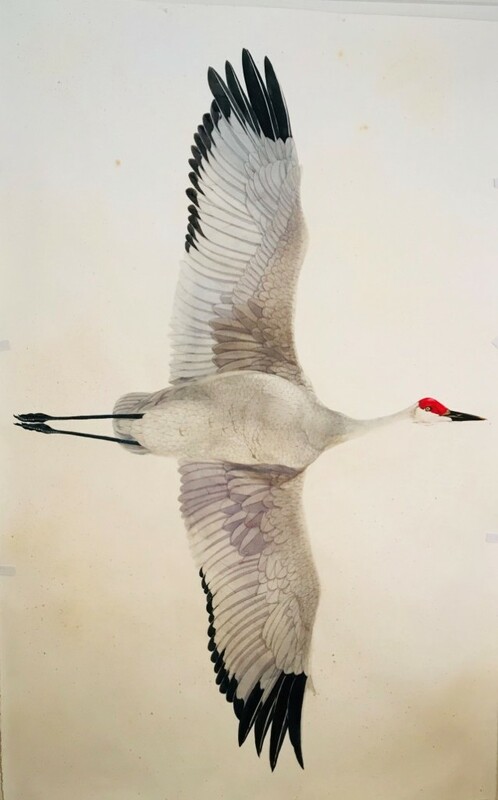 At his opening at the Surovek Gallery earlier this month, Kelley’s work showed not just his mastery of his art but also his joy, humor and reverence for the natural world. Towards the Trufflula Trees is a magnificent painting that references Dr. Seuss’s book The Lorax, which tells the story of the destruction of a forest of Trufflula Trees for the sake of industry. Like Dr. Seuss, Kelley has written and beautifully illustrated a children’s book about the environment. 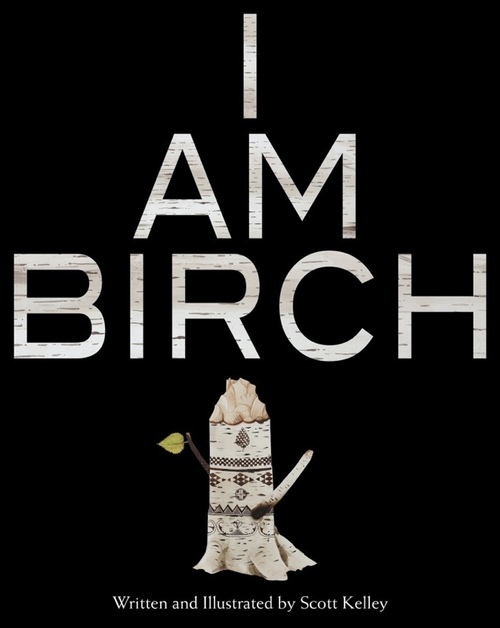 I Am Birch is not just about respect for the natural world, it’s also about facing fear. All proceeds from the sale of the book go to the I Am Birch Foundation, which gives mini-grants to traditional Wabanaki artisans, a group of Native American tribes living in and around Maine, for the purchase of materials and supplies to enable them to continue making their art. 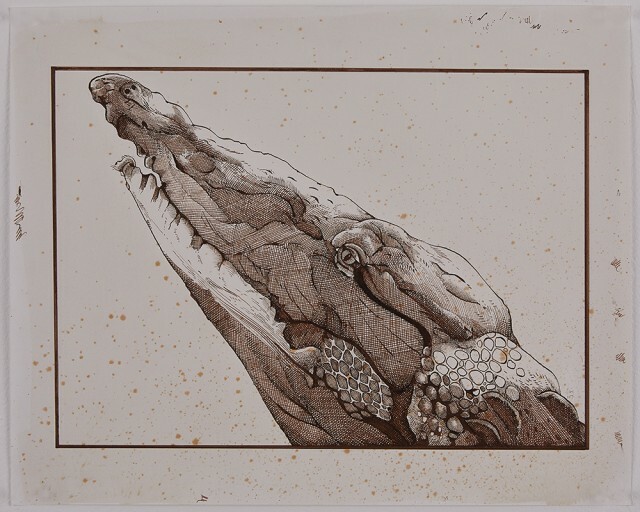 Scott Kelley’s works are infused with his skill and his deep appreciation of his subjects. 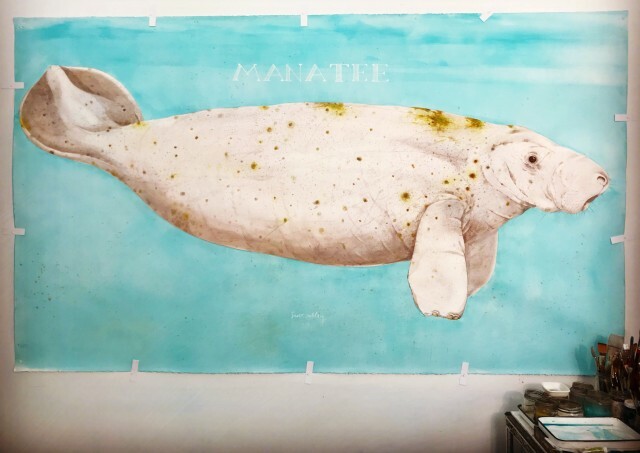 His ink drawings demonstrate his fine technique and empathy for his subjects, like his painting of a manatee, titled Matisyahu which is the Hebrew word meaning Gift of God.  Please contact us if you would like more information about Towards the Truffula Trees, Alligator, Matisyahu, Sandhill Crane or any of the other fine works of Scott Kelley available at Surovek Gallery. Bob Keyes. With first children’s book, Peaks Island artist Scott Kelley creates a world without fear. Portland Press Herald. April 22, 2018. Bob Keyes. Peaks Island author’s book proceeds to supply Wabanaki artists. Portland Press Herald. February 7, 2019.